The Nike SB x Air Jordan 1 is finally going to be released this spring as a celebration to the ground breaking basketball high-top's appropriation by skateboarding in the 1980s. Designed by Craig Stecyk, the shoe takes cues from his art installation "Northwest Passage" and adopts his signature tribal identity. 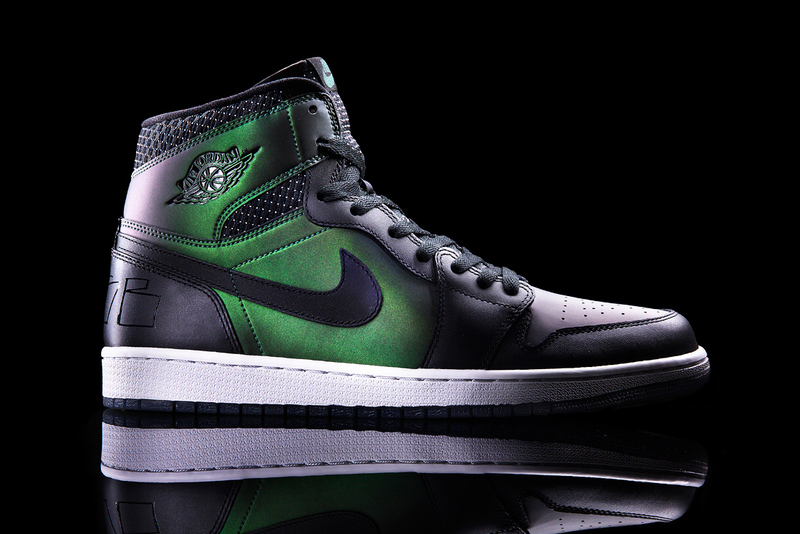 Appearing on both the heel and footbed of the green and black Jordans is stylized “AJ One SB” type as a contrasting white midsole and translucent rubber outsole complete the look. It will be available in limited quantities at select Nike SB and Jordan Brand retailers, as well as Nike.com.